Technology that has helped Israel’s military drive tanks, guide and intercept missiles, and keep its computer systems secure is being redeployed in the development of driverless cars. Technology that has helped Israel’s military drive tanks, guide and intercept missiles, and keep its computer systems secure is being redeployed in the development of driverless cars. U.S. chipmaker Intel, German auto supplier Continental, Samsung, Daimler, Ford Motor Co and GM are among those to have bought startups or set up their own development centers in Israel. Inexperience in car-making, distance from traditional auto centers and competition from other tech sectors for top staff are a challenge for investors. The United States attracts the most investment in the sector with companies raising $1.2 billion last year, according to venture capital data provider CB Insights. Silicon Valley, Pittsburgh and Detroit are making efforts to be leaders in the driverless car era. Israeli auto tech startups are not far behind. They raised $814 million last year, triple the 2015 level, and $182 million in the first quarter of 2018, in line with last year’s pace, according to Start-Up Nation Central. Investment in Israeli autotech including venture capital, acquisitions and joint ventures, totaled $3.5 billion in 2017, said Micki Shapira, a partner at law firm Weinstock Zecler & Co. Startups elsewhere are making a push. Beijing has emerged as a hot spot, with strong backing from the Chinese government. But Israel’s innovation, often in elite military departments such as the cyber intelligence Unit 8200, wireless sensors, security, location finding and analytics software means it is well positioned to rival Silicon Valley. Cybersecurity expertise ensures that the computers of driverless cars keep hackers out while radar, sonar, sensors and positioning systems are used to keep the cars on the road and stop them crashing into other vehicles or objects. Cyber and fraud detection techniques are rooted in counterterrorism while breakthroughs in optical and sonar software may stem from missile defense, said Evercore ISI analyst Chris McNally. On an empty highway built by Israel’s government to test self-driving cars near Shfayim, north of Tel Aviv, a Samsung-backed startup called Imagry last month demonstrated its technology on a modified Kia Soul. The five-seater, equipped with cameras, infrared and artificial intelligence, kept a safe distance from another car. Autonomy - without relying on the expensive laser detection system known as lidar which Waymo and GM use - has become a quest for the industry. “Cameras provide the most high resolution information and they are available and commoditized,” said Imagry’s chief executive officer (CEO) Adham Ghazali. His goal is to produce cheaper technology than lidar. Another Samsung-backed startup, Innoviz, whose CEO spent 7 years in an elite technological unit of the IDF’s Intelligence Corps, wants to lower the cost of lidar rather than replace it. Together with partner Magna it signed a deal last month to supply lidar to BMW. Innoviz raised $73 million in 201. With full autonomy - a market UBS estimates will be worth up to $2.3 trillion in 2030 - a long way off, Ghazali aims to have 20 robotaxis operating in Israel and the United States next year at “level 4” autonomy with a safety driver present. Israel’s auto tech sector started to take off in 2014, the year after Google bought mapping firm Waze for $1.2 billion. 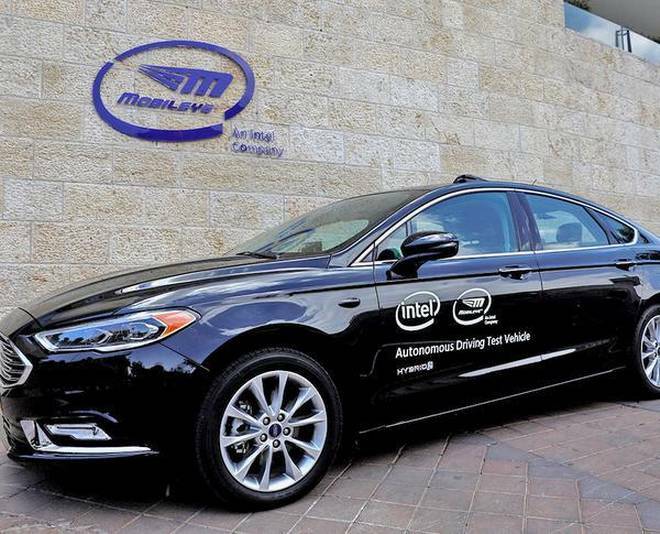 Another big step was when Intel spent $15.3 billion on autonomous vehicle technology firm Mobileye last year and moved all its operations in the field to Jerusalem. “We were not known as a country that provides technology to the automotive industry and suddenly you have more than 500 different startups dealing with ... the automotive industry,” Mobileye co-founder Ziv Aviram said. German auto supplier Continental bought cybersecurity firm Argus, whose CEO was a captain in Unit 8200, for about $430 million last year. Samsung’s Harman unit acquired cyber firm TowerSec for $75 million in 2016. Renault-Nissan-Mitsubishi, VW, Porsche (PSHG_p.DE) and Honda also have interests in Israel. “We are going to do more here,” said Nick Sugimoto, head of Honda Innovations. The government is keen to support the sector. It is building a simulator for test drives and working on regulation to balance safety with innovation, said Gil Shaki, head of energy, cleantech and transport at the Innovation Authority. But there are still challenges for auto companies dealing with Israeli startups. “You don’t have tremendous knowledge about how to take a technology that’s in a nascent state and take it down the path...to automotive grade,” said Glen De Vos, chief technology officer of Aptiv, a major automotive supplier that is developing safety and autonomous driving systems. The startups are sometimes surprised that it can take five years to get a product launched on a car, and a decade to achieve significant sales volume, he said. Distance from other car centers can also be a problem. “It’s harder to get there,” said De Vos, who is based in Silicon Valley. A challenge for the startups is the competition for staff with giant international firms such as Google or Intel. The government forecasts a shortage of 10,000 engineers and programmers over the next decade in the tech sector in general which already employs 270,000. Many of the startups pivoted to autos from other fields. StoreDot, which raised $60 million from Daimler in September and another $20 million from BP on Tuesday, developed a super-fast charger for cellphones before switching to automotives. The company, valued at $750 million according to startup marketplace Funderbeam, says its batteries can fully charge an electric vehicle in five minutes. “Both are big markets but we tend to think the electric vehicle market will be much bigger,” said Erez Lorber, chief operating officer of StoreDot. Arbe Robotics, which has roots in the military and homeland security, built radar for drones before moving into cars, said CEO Kobi Merenko. Interest in the sector has pushed up valuations, said Yifat Oron, CEO of Bank Leumi’s tech arm LeumiTech.